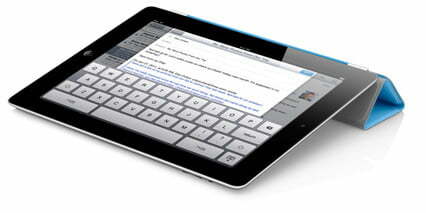 If you’ve been living under a rock somewhere, you missed today’s introduction of the iPad 2. And even if you didn’t, it’s easy for tablet cases and covers to get overlooked in all the hype. But Apple’s new Smart Covers deserve a mention. CEO Steve Jobs indeed made his rumored appearance at today’s product launch, and in addition to revealing the device of the hour (or, according to Apple, the year), he showed off a new concept when it comes to cases. Er, excuse us, covers. During the event, Jobs admitted “We did a case for the original iPad. It worked pretty well, but we went to all the trouble to make this beautiful design, but then covered it up with the case. We thought we could be better than this with the iPad 2.” Instead of a traditional, inflexible housing case for the tablet, Jobs revealed the new Smart Covers. The covers are little more than flaps of polyurethane (the stuff space suits are made of) or leather that attach to the iPad 2 using magnets that automatically align the cloth to the device. 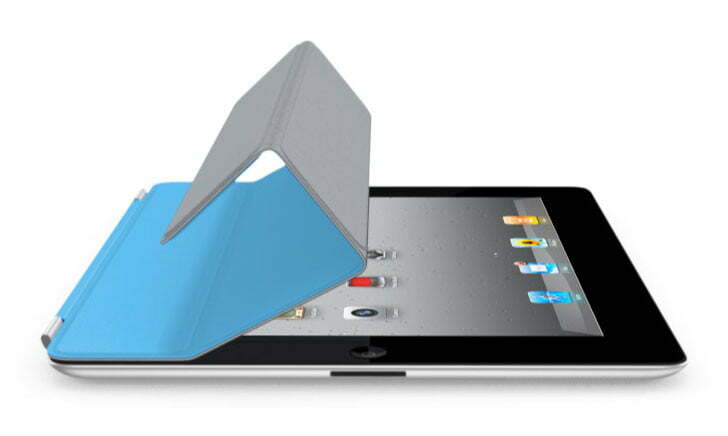 The Smart Covers are both flexible and sturdy, and can support the tablet for angled use. But that’s old news and something outside vendors have been offering for the original iPad; what’s really innovative about the cover is how it connects to the tablet itself. Closing it puts the iPad to sleep, and opening wakes it up. And just to take multitasking (or laziness) to new heights, the cover also features a microfiber cloth for simultaneous cleaning. There are a variety of colors to choose from as well. A polyurethane Smart Cover will run you $39, and a leather one (available in more muted tones) is priced at $69.